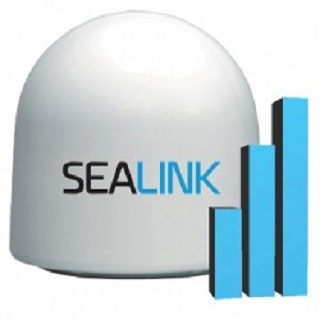 Oslo/Paris, 4 April 2018: Marlink has added a new satellite to its global multi-band Sealink network, significantly expanding its footprint in the Indian Ocean Region (IOR) and introducing even more Ku-band VSAT capacity to enable high-speed broadband connectivity for ships transiting southern routes between Asia and Africa, in addition to fishing vessels operating east of Africa’s coastline and out towards the Maldives and Seychelles. The new capacity comes from a satellite positioned in geostationary orbit at a longitude of 110° East. Its addition to the Sealink network now gives Marlink four overlapping beams in certain areas of the IOR, ensuring that capacity is always available for its customers to meet their diverse connectivity needs. The extra redundancy provided by the enhanced orbital spread in the IOR ensures continuous service availability, especially in ‘blocking’ situations where a vessel’s infrastructure obstructs line of site between the antenna and a satellite. 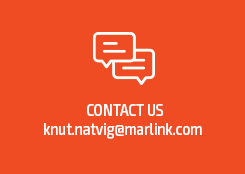 Based on its long-term relationships with all major satellite owners, Marlink is committed to an on-going expansion program for its already coverage-leading Sealink network, which features the most extensive combination of satellites and beams available for global maritime customers. For end-users, the multi-layered Sealink network delivers uncompromising coverage and capacity, where overlapping beams offer a foundation for customers to digitalise their operations for greater efficiency and reduced operational costs, with the confidence that an IP link is always available. The sheer reach and huge amount of redundancy we offer through the state-of-the-art, multi-band Sealink network enables new ways of operating ships and fleets with more efficiency, ultimately providing a digital platform for more sustainable operations, said Tore Morten Olsen, President Maritime, Marlink. While our coverage for the IOR has always been strong, the new capacity and extended footprint provides even more scope for the modernisation and digitalisation of our customers’ fleets, while providing an important link for crew on ships and fishing vessels to stay in touch with friends and family at home.